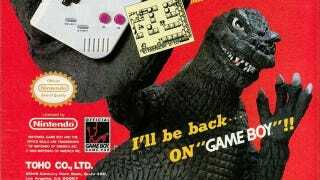 When he's not crushing major Japanese cities, Godzilla likes nothing more than to kick back and play his own video game on the original Game Boy. Only, because his giant claws can't hit the buttons properly, he's always dying, which pisses him off, causing him to stomp around crushing cities. Wash, rinse, repeat. It's a horrible cycle.